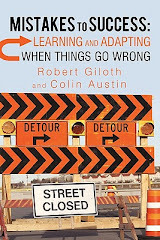 Bob Giloth's Blog: Too Late? "Obama has defended his economic approach -- which includes the $787 billion economic stimulus plan and record investments in health care, alternative energy, education and job training -- as necessary to stabilize the shaky economy and point the way to job growth." Michael A. Fletcher, "Recovery's Missing Ingredient: New Jobs," The Washington Post, June 22, 2009. So, left and right kind of agree that we're not out of the recession, things may grow worse in terms of unemployment, and we may need think about other investments and policies. Of course, everyone has grown tired of spending more money. Obama folks caution that we wait and see the hopefully positive effects of the stimulus funds as they hit the streets more forcefully this fall and winter. More job training and community college announcements are coming in the next few weeks -- as if training creates jobs. Are there other plausible ideas? It's too bad we didn't put a public jobs program like WPA into the ARRA instead of a lot of the razzle dazzle stuff. I know that the politics would have been tough, etc., but it would have put people to work -- while ARRA extended and deepened benefits and provided resources for skill upgrading. We could have used the military and national guard to get this going quickly. Is it too late? You may be right...have you seen this?